So, can a person be arrested for sleeping off intoxication in the car? The simple answer is yes, you can be charged for impaired driving – even when you are not even driving your car when apprehended. How is this possible? When a police officer finds you in the driver’s seat of your car, and suspects that you’ve had a bit too much to drink, impairing your ability to drive properly, you will be investigated. You can be arrested for DUI even if you are just sitting in the front seat or even when sleeping in the backseat to sober up. This is because of the care and control principle. The Actual Physical Control principle basically presumes you can drive your car while intoxicated. If you are found in the driver’s seat, the assumption is you’re in control of the vehicle – even if the keys aren’t in the ignition or you don’t own the car. You can be charged and will have to fight this at your trial. You would need to convince the judge or jury that you weren’t in the driver’s seat to drive. A lot of people are not aware of this. People who have experience getting arrested for sleeping in their parked car will discourage you not to be caught sleeping in your car parked in a watering hole’s parking lot – in the wee hours of the morning – and visibly in no condition to drive. You can still get arrested this way. You may think that you are free from arrest by sitting in the back, and not in the front seat of your car. The arresting officer can establish Actual Physical Control on your part if there is a threat or danger of the vehicle and the occupants, including the danger of the vehicle being set into motion or other kinds of similar risks. And this list is not meant to be all-inclusive. Each DUI case is decided based on the facts and circumstances surrounding each particular case. 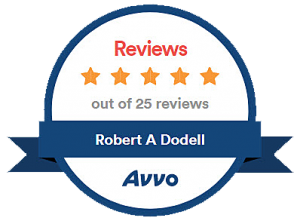 Thus, it is a good idea to get the services of a competent and experienced DUI lawyer like Robert A. Dodell, Attorney At Law, when facing a similar case in Arizona. This way, you can be sure that all aspects of the case are considered, so you can come up with the best possible defense.